Darren Aronofsky (born February 12, 1969)  is an American filmmaker and screenwriter, who is noted for his surreal, melodramatic, and often disturbing films. 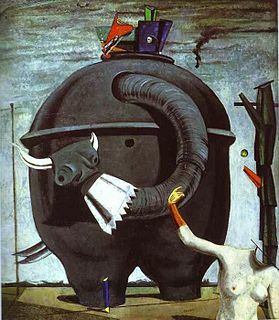 Surrealism is a cultural movement that began in the early 1920s, and is best known for its visual artworks and writings. Artists painted unnerving, illogical scenes with photographic precision, created strange creatures from everyday objects, and developed painting techniques that allowed the unconscious to express itself. Its aim was to "resolve the previously contradictory conditions of dream and reality into an absolute reality, a super-reality". Aronofsky attended Harvard University, where he studied film and social anthropology, and the American Film Institute where he studied directing. He won several film awards after completing his senior thesis film, Supermarket Sweep, which went on to become a National Student Academy Award finalist. Aronofsky's feature debut, the surrealist psychological thriller Pi , was shot in November 1997. The low-budget, $60,000 production, starring Sean Gullette, was sold to Artisan Entertainment for $1 million, and grossed over $3 million; Aronofsky won the Directing Award at the 1998 Sundance Film Festival and an Independent Spirit Award for Best First Screenplay. 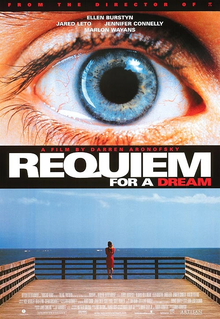 Requiem for a Dream is a 2000 American psychological tragedy film directed by Darren Aronofsky and starring Ellen Burstyn, Jared Leto, Jennifer Connelly, and Marlon Wayans. The film is based on the novel of the same name by Hubert Selby, Jr., with whom Aronofsky wrote the screenplay. Requiem for a Dream is a 1978 novel by American writer Hubert Selby, Jr., that concerns four New Yorkers whose lives spiral out of control as they succumb to their addictions. The Wrestler is a 2008 American sports drama film produced and directed by Darren Aronofsky, written by Robert D. Siegel, and starring Mickey Rourke, Marisa Tomei, and Evan Rachel Wood. Production began in January 2008 and Fox Searchlight Pictures acquired rights to distribute the film in the U.S.; it was released in a limited capacity on December 17, 2008, and was released nationwide on January 23, 2009. It was released on DVD and Blu-ray Disc on April 21, 2009, in the United States. It was released in the United Kingdom on January 16, 2009. Philip Andre "Mickey" Rourke Jr., is an American actor, screenwriter, and former boxer, who has appeared primarily as a leading man in drama, action, and thriller films. Manhattan Beach is a residential neighborhood in the New York City borough of Brooklyn. 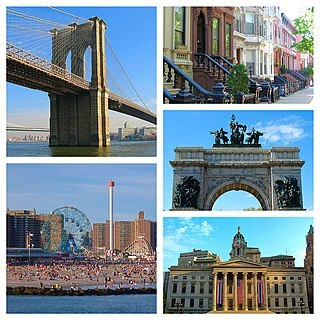 It is bounded by the Atlantic Ocean to the south and east, by Sheepshead Bay on the north, and Brighton Beach to the west. Traditionally known as an Italian and Ashkenazi Jewish neighborhood, it is also home to a sizable community of Sephardi Jews and a large Russian Jewish immigrant presence. The area is part of Brooklyn Community Board 15, which is represented by the Manhattan Beach Community Group, established in 1941, and the Manhattan Beach Neighborhood Association, established in 2008. The community's street names, derived from England, are in alphabetical order from A to P, with the exception of Ocean Avenue. It is patrolled by the NYPD's 61st Precinct. The School for Field Studies (SFS) is the United States' largest environmental study abroad program provider for undergraduate college students, offering fully accredited semester- and summer-long academic programs in over 10 countries around the world. SFS students and staff conduct field research, driven by strategic research plans, to address environmental issues which affect both the communities in which the organization operates and the world in general. More than 18,000 students have studied abroad with SFS since it was founded in 1980. SFS is a 501(c)(3) non-profit organization, currently based out of Beverly, Massachusetts. Ungulates are any members of a diverse group of primarily large mammals that includes odd-toed ungulates such as horses and rhinoceroses, and even-toed ungulates such as cattle, pigs, giraffes, camels, deer, and hippopotamuses. Most terrestrial ungulates use the tips of their toes, usually hoofed, to sustain their whole body weight while moving. Social anthropology is the dominant constituent of anthropology throughout the United Kingdom and Commonwealth and much of Europe, where it is distinguished from cultural anthropology. In the United States, social anthropology is commonly subsumed within cultural anthropology. "I'm a big fan of Kurosawa and Fellini. In this film in particular I think there's a lot of Roman Polanski influence and Terry Gilliam influence as well as a Japanese director named Shinya Tsukamoto—he directed The Iron Man, Tetsuo ." I had my editor count shots. There are 139 dance shots in the film. 111 are Natalie Portman untouched. 28 are her dance double Sarah Lane. If you do the math, that's 80% Natalie Portman. What about duration? The shots that feature the double are wide shots and rarely play for longer than one second. There are two complicated longer dance sequences that we used face replacement. Even so, if we were judging by time, over 90% would be Natalie Portman. And to be clear, Natalie did dance en pointe in pointe shoes. If you look at the final shot of the opening prologue, which lasts 85 seconds, and was danced completely by Natalie, she exits the scene on pointe. That is completely her without any digital magic. He has received the Humanitarian Award from both the Humane Society of the United States  and PETA. Natalie Portman is a film actress, producer, writer, and director with dual Israeli and American citizenship. She is the recipient of various accolades, including an Academy Award and two Golden Globe Awards. Clinton Darryl "Clint" Mansell is an English musician, composer, and former lead singer of the band Pop Will Eat Itself. Mark Margolis is an American actor. He is known for his performances as Alberto "The Shadow" in Scarface (1983) and Antonio Nappa in Oz, and his Emmy-nominated performance as Don Héctor "Tio" Salamanca in Breaking Bad and Better Call Saul. Requiem for a Dream is the soundtrack album from the 2000 film Requiem for a Dream. It was composed by Clint Mansell and performed by the Kronos Quartet. The music for the film is noted for its minimalist qualities in which it uses constant harmonies, a steady pulse, and often variation of musical phrases to drive a point. The album is best known for the track "Lux Aeterna." 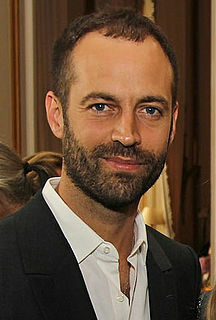 Benjamin Millepied is a French dancer and choreographer, who has lived and worked in the United States after joining the New York City Ballet in 1995, where he became a soloist in 1998 and a principal in 2002. He also quickly started creating choreography for the company, and choreographed pieces for other major companies. He retired from NYCB in 2011. Sarah Lane is an American ballet dancer and a principal dancer with American Ballet Theatre (ABT). Ksenia Solo is a Latvian-Canadian actress, known for portraying Mackenzie "Kenzi" Malikov on Lost Girl. She portrayed Peggy Shippen on Turn: Washington's Spies. Solo also portrayed the character "Natasha" in the 2010 American television series Life Unexpected and Shay Davydov in Season 3 of Orphan Black. Andrew Weisblum is an American film and a visual effects editor. He has collaborated frequently with directors Darren Aronofsky and Wes Anderson. Weisblum was nominated for two American Cinema Editors's Eddie Award for Best Edited Animated Feature Film for his work on Fantastic Mr. Fox and Isle of Dogs and an Academy Award for Best Film Editing for his work on Black Swan. The 14th Online Film Critics Society Awards, honoring the best in film for 2010, were announced on 3 January 2011. Black Swan is a 2010 American psychological thriller film about a ballet dancer directed by Darren Aronofsky and starring Natalie Portman, Vincent Cassel, and Mila Kunis. After the 83rd Academy Awards, in which Portman won the Oscar for Best Actress for her role in the film as a ballerina, controversy arose over how much credit for the dancing in the film was being given to her and how much to her "dance double", American Ballet Theatre soloist Sarah Lane. Natalie Portman is an actress, producer, and director with dual American and Israeli citizenship. Portman made her film debut in Luc Besson's Léon: The Professional where she starred as a vengeful child assassin. She followed this by appearing in Michael Mann's crime thriller Heat (1995), Ted Demme's romantic comedy Beautiful Girls (1996), and Tim Burton's science fiction comedy Mars Attacks! (1996). Three years later, her supporting role as the precocious, responsible daughter of a narcissistic mother played by Susan Sarandon in the drama Anywhere but Here earned Portman her first Golden Globe Award nomination. In the same year, Portman played Padmé Amidala in the first of the Star Wars prequel trilogyStar Wars: Episode I – The Phantom Menace which garnered her international recognition. She reprised the role in its sequels Star Wars: Episode II – Attack of the Clones (2002), and Star Wars: Episode III – Revenge of the Sith (2005). Mark Heyman is an American screenwriter and film producer who is best known for co-writing Black Swan (2010) and The Skeleton Twins (2014). The following is a list of unproduced Darren Aronofsky projects in roughly chronological order. 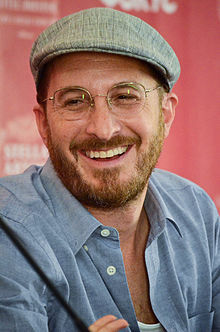 During his long career, American film director Darren Aronofsky has worked on a number of projects which never progressed beyond the pre-production stage under his direction. Some of these projects fell in development hell or were cancelled. Scott Franklin is an American film producer. 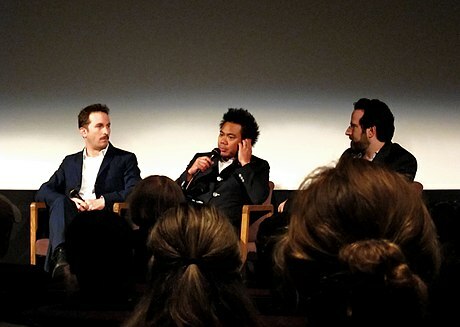 Born and raised in New York, Franklin continues to work there as a producer with Darren Aronofsky at Protozoa Pictures. He is an Oscar nominee for his work on Black Swan and a two time recipient of the Independent Spirit Award for Best Picture. 1 2 "Darren Aronofsky Biography (1969-)". FilmReference.com. Archived from the original on July 3, 2017. Retrieved November 22, 2017. ↑ "Darren Aronofsky: Hollywood's most ambitious director". The Independent. January 15, 2011. Retrieved August 15, 2017. ↑ "The Darren Aronofsky Retrospective: 'The Fountain' | Movie Mezzanine". moviemezzanine.com. Retrieved January 23, 2017. 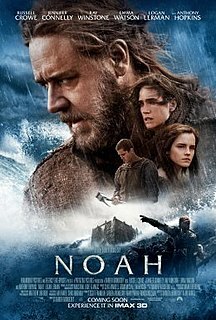 ↑ "Noah (2014) - Box Office Mojo". www.boxofficemojo.com. Retrieved February 27, 2017. 1 2 Smith, Kyle (September 14, 2017). "Jennifer Lawrence's Grotesque Spoof of the Nativity". National Review. 1 2 D'Alessandro, Anthony. "'Mother!' Dies With 'F' CinemaScore And $7.5M Start As 'It' Becomes Biggest September Release Ever With $218M+ Cume". Deadline Hollywood . Retrieved September 17, 2017. 1 2 Hughes, William (September 16, 2017). "Mother! earns a rare, semi-coveted F from CinemaScore". The A.V. Club . Retrieved September 17, 2017. ↑ Pfefferman, Naomi (July 23, 1998). "The Arts". The Jewish Journal of Greater Los Angeles . Retrieved May 18, 2018. 1 2 Romney, Jonathon (August 12, 2011). "Blood, sweat and murder at the ballet: The endless torture of Darren Aronofsky". The Independent . UK: Independent Print Limited. Archived from the original on September 22, 2012. Retrieved August 12, 2011. ↑ Walker, Tim (January 15, 2011). "Darren Aronofsky: Hollywood's most ambitious director". The Independent . Retrieved May 18, 2018. ↑ Collin, Robbie (April 7, 2014). "Darren Aronofsky interview: 'The Noah story is scary'". The Telegraph. Retrieved May 27, 2018. He describes his family background as “culturally Jewish”. ↑ Hogg, Trevor (December 22, 2010). "Visual Linguist: A Darren Aronofsky Profile". Flickeringmyth.com. Archived from the original on September 22, 2012. Retrieved September 22, 2012. ↑ "In-Depth Interview With Darren Aronofsky for Black Swan – Starring Natalie Portman". FlicksAndBits.com. January 17, 2011. Archived from the original on September 22, 2012. Retrieved September 22, 2012. 1 2 3 Vittorio, Carli. "Darren Aronofsky Interview/Story". Artininterviews. Retrieved December 19, 2010. Undated; updated version of story from The Star, 1998, n.d.
↑ Stein, Ruthe (July 19, 1998). "Filmmaker's Success as Easy as `Pi' / Darren Aronofsky went from Sundance to studio contract with his thriller about math". SFGate . Retrieved May 27, 2018. ↑ Cantagallo, Dan (October 27, 2000). "Dreamlover: An Interview with Darren Aronofsky". 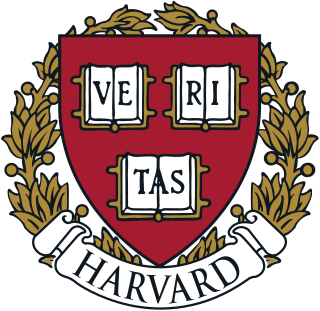 The Harvard Crimson. Archived from the original on November 24, 2012. Retrieved December 30, 2010. ↑ Karlin, Susan (December 16, 2010). "Meet the Man Who Gave 'Black Swan' Wings". Fast Company. Archived from the original on November 24, 2012. Retrieved December 19, 2010. ↑ Walker, Tim (January 15, 2011). "Darren Aronofsky: Hollywood's most ambitious director". London: The Independent. Archived from the original on May 18, 2013. Retrieved April 25, 2014. ↑ "Sword of Doom". Directors Guild of America. Archived from the original on February 25, 2012. Retrieved October 19, 2012. 1 2 3 4 "Darren Aronofsky: The Ask Hollywood Interview Part 1". MyVideoStore.com. n.d. Archived from the original on February 21, 2014. Retrieved October 19, 2012. In this film [ Pi ] in particular I think there's a lot of [Roman] Polanski influence and Terry Gilliam influence as well as a Japanese director named [Shinya] Tsukamoto ... As far as being a storyteller I think my biggest influence was Bill Cosby and his comedy. And also as far as writing would probably be Hubert Selby, Jr.
1 2 "10 Questions for Darren Aronofsky". Time . January 17, 2011. Retrieved October 19, 2012. Filmmakers like Spike Lee and Jim Jarmusch were big influences and expanded [my sense of] what film could be. ↑ Dazed (August 27, 2015). "The cult Japanese filmmaker that inspired Darren Aronofsky". Dazed. Retrieved September 16, 2017. ↑ "Darren Aronofsky". Film.com. Archived from the original on December 25, 2010. Retrieved December 19, 2010. ↑ "Franklin J. Schaffner Award". AFI.com. Retrieved December 19, 2010. 1 2 Idov, Michael (November 19, 2006). "Pi in the Sky". New York . p. 2. Archived from the original on September 22, 2012. Retrieved December 19, 2010. 1 2 "The Ask Hollywood Interview: Part 1". Videoplace. Archived from the original on July 14, 2011. Retrieved December 19, 2010. ↑ "Pi". Box Office Mojo . Retrieved December 18, 2010. ↑ "Pi". Metacritic. Retrieved December 4, 2009. ↑ "SightSound to Netcast Franchise Pix". Scribd. Retrieved March 27, 2017. ↑ Kaufman, Anthony (December 1, 2009). "Decade: Darren Aronofsky on 'Requiem For a Dream'". indieWIRE. Retrieved December 19, 2010. ↑ "Requiem for a Dream". Drunkenfist. Retrieved December 19, 2010. ↑ "Requiem for a Dream". Box Office Mojo . Retrieved December 18, 2010. 1 2 3 4 5 Stevens, Jim (April 20, 2001). "Articles: Independent Spirit Awards". Blackflix.com. Retrieved March 24, 2010. ↑ Bray, Elisa (January 28, 2011). "Duo Darren Aronofsky and Clint Mansell score on pointes". The Independent . Retrieved January 31, 2011. ↑ Phares, Heather. 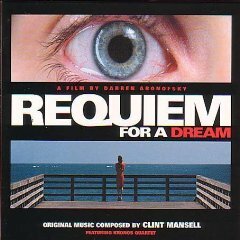 "Requiem for a Dream Clint Mansell". Allmusicguide.com. Retrieved December 19, 2010. ↑ "2000 Academy Awards Winners and History". Filomsite.org. Retrieved December 19, 2010. ↑ "Ellen Burstyn - Awards". IMDb. Retrieved November 22, 2017. ↑ "2000 Nominations and Winners" . Retrieved October 21, 2015. ↑ Corona.bc.ca (May 24, 2000). "Coming Attractions – Sector 7". Archived from the original on April 10, 2001. Retrieved December 10, 2013. ↑ Dana Harris (September 21, 2000). "WB sends Pi guy into the Bat Cave". Variety . Retrieved October 17, 2008. ↑ Brian Linder (October 16, 2000). "The Bat-Men Speak". IGN . Retrieved October 17, 2008. ↑ Brian Linder (December 6, 2000). "Aronofsky Talks Batman: Year One ... Again". IGN . Retrieved October 17, 2008. ↑ Andrew O. Thompson (November 8, 2000). "Matthew Libatique". Variety. Retrieved October 17, 2008. ↑ Adam Smith (July 2005). "The Original American Psycho". Empire . pp. 74–80, 82, 84, 87. ↑ Dana Harris (June 30, 2002). "WB: fewer pix, more punch". Variety. Retrieved December 19, 2010. ↑ McCarthy, Todd (October 6, 2002). "Below Review – Variety.com". Variety . Retrieved March 16, 2008. 1 2 Linder, Brian (April 5, 2001). "Aronofsky, Pitt Team for Sci-Fi Epic". IGN . Retrieved December 19, 2010. ↑ Linder, Brian (June 7, 2001). "Blanchett Joining Pitt in Aronofsky's Next". IGN . Retrieved December 19, 2010. ↑ Topel, Fred (November 7, 2006). "Crave talks to Darren Aronofsky". CraveOnline.com. Archived from the original on September 27, 2007. Retrieved December 19, 2010. ↑ Linder, Brian (July 25, 2002). "Fountain Flows at Warner Bros". IGN . Retrieved December 19, 2010. ↑ Silberman, Steve (November 1, 2006). "The Outsider". Wired News . Retrieved December 19, 2010. ↑ Linder, Brian (February 7, 2004). "The Fountain Flows Again". IGN . Retrieved December 19, 2010. ↑ Linder, Brian (August 4, 2004). "Weisz Wades Into Fountain". IGN . Retrieved December 19, 2010. ↑ "The Fountain (2006)". Box Office Mojo . Retrieved May 18, 2007. ↑ Ebert, Roger (September 14, 2007). "'The Fountain' spews forth lots of babble". Chicago Sun-Times . Retrieved December 4, 2009. ↑ Kenny, Glenn (November 22, 2006). "The Fountain". Premiere . Archived from the original on November 18, 2010. Retrieved December 4, 2009. ↑ "Fountain, The". Metacritic. Retrieved December 4, 2009. ↑ Fleming, Michael; Pamela McClintock (March 26, 2007). "Aronofsky in talks to direct 'Fighter'". Variety . Retrieved October 4, 2010. ↑ Butler, Tom (June 27, 2010). "Robocop Reboot Canned". IGN UK. Retrieved March 17, 2011. ↑ Sciretta, Peter (August 8, 2008). "Fox Searchlight Wins The Wrestler". Shashfilm. Retrieved December 19, 2010. ↑ Goldstein, Gregg (October 12, 2007). "Cage makes some moves on 'Wrestler'". The Hollywood Reporter . Archived from the original on October 13, 2007. Retrieved January 8, 2008. ↑ Sciretta, Peter (October 9, 2008). "Interview: Darren Aronofsky". slashfilm.com. Archived from the original on September 20, 2008. Retrieved September 24, 2008. ↑ "Nicolas Cage: I Wasn't 'Dropped' From 'The Wrestler'". Access Hollywood . March 9, 2009. Retrieved October 13, 2013. ↑ l Fleming, Michae (November 10, 2007). "Mickey Rourke wires 'Wrestler'". Variety . Retrieved January 8, 2008. 1 2 3 "Darren Aronofsky (2008)". Fox Searchlight . Archived from the original on December 24, 2008. Retrieved December 3, 2008. 1 2 3 Singh, Anita (February 23, 2009). "Oscar winners: Slumdog Millionaire and Kate Winslet lead British film sweep". The Daily Telegraph . London. Retrieved May 23, 2007. 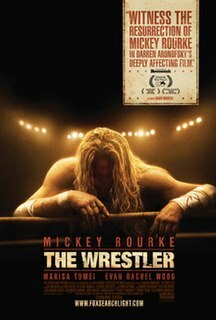 ↑ "The Wrestler (2008)". Box Office Mojo . Retrieved May 23, 2007. ↑ "Direct Effect Season 1, Episode 7 Darren Aronofsky of BLACK SWAN". Fox Movie Channel Originals. TV Guide. October 11, 2011. ↑ Lesnick, Silas (December 13, 2009). "Mila Kunis Talks Black Swan". ComingSoon.net. Archived from the original on August 4, 2010. Retrieved December 21, 2009. 1 2 3 Ditzian, Eric (December 13, 2009). "'Black Swan' Director Darren Aronofsky on Ballet, Natalie Portman And Lesbian Kisses". MTV Movies Blog. Archived from the original on August 30, 2010. Retrieved May 23, 2010. ↑ Vivarelli, Nick. "Aronofsky flies 'Swan' at Venice". Variety . Retrieved December 21, 2009. ↑ "Black Swan Movie reviews, Pictures". Rotten Tomatoes . Retrieved December 21, 2009. 1 2 "Nominees". Independent Spirit Awards. November 30, 2010. Archived from the original on May 4, 2010. Retrieved December 11, 2010. 1 2 3 "Nominees". Golden Globe Awards. December 14, 2010. Archived from the original on May 5, 2012. Retrieved December 11, 2010. ↑ Young, John (May 12, 2010). "Box office report: 'Tangled' wins slow weekend with $21.5 mil". Entertainment Weekly . Retrieved December 11, 2010. ↑ "Black Swan (2010)". Box Office Mojo . Retrieved March 17, 2011. 1 2 3 "Nominees for the 83rd Academy Awards". oscars.org. Retrieved March 17, 2011. ↑ "15th Annual PRISM Awards". latimes.com. Retrieved October 21, 2015. 1 2 McClintock, Pamela (March 17, 2011). "Darren Aronofsky Bows Out of 'Wolverine'". The Hollywood Reporter . Archived from the original on March 17, 2011. Retrieved March 17, 2011. Additional March 17, 2011. ↑ Stusoy, Brandon (November 3, 2011). "Darren Aronofsky to Direct Video for Loutallica's "Iced Honey"". Pitchfork Media . Retrieved November 1, 2011. 1 2 "Darren Aronofsky Joins Magic World War II Drama Series in Development at HBO". Deadline. March 16, 2011. Retrieved March 26, 2011. ↑ "HBO Passes on Darren Aronofsky WW2 Magic Drama 'Hobgoblin,' FX Reportedly Considers". Screen Crush. June 18, 2013. Retrieved February 12, 2015. ↑ Mecca, Dan (June 16, 2011). "Darren Aronofsky's 'Noah' Project Attempting To Anchor At". The Film Stage. Retrieved March 25, 2011. ↑ Fleming, Mike (March 4, 2012). "Douglas Booth And Logan Lerman Board Boat For 'Noah'". Deadline Hollywood. Retrieved July 12, 2012. ↑ Schwartz, Terri (October 21, 2011). "First look at Darren Aronofsky's "Noah" graphic novel hits the web". IFC . Retrieved July 12, 2012. ↑ Lovece, Frank (July 12, 2012). "Russell Crowe, 'Harry Potter' star Emma Watson to shoot 'Noah' on LI". Newsday . Archived from the original on July 15, 2012. Retrieved July 14, 2012. ↑ "Darren Aronofsky's Noah Begins Filming – Starring Russell Crowe, Ray Winstone & Emma Watson". Flicks and Bits. Archived from the original on July 25, 2012. Retrieved July 26, 2012. ↑ Chitwood, Adam (July 9, 2012). "Anthony Hopkins to Play Methuselah in Darren Aronofsky's NOAH". Collider. Retrieved July 25, 2012. ↑ Tartaglione, Nancy. "NTL BOX OFFICE UPDATE: 'Captain America: The Winter Soldier' Captures $75.2M; 'Noah' Swells To $51.5M Cume; 'Rio 2' Breaks Brazil Records; 'Lego' Passes $400M; More". Deadline. Retrieved October 21, 2015. ↑ Nordine, Michael (February 6, 2017). "'mother! ': Darren Aronofsky Drama Starring Jennifer Lawrence Gets Awards-Friendly Release Date". Indiewire.com . Retrieved May 14, 2017. ↑ McNary, Dave (April 15, 2016). "Domhnall Gleeson, Michelle Pfeiffer Join Jennifer Lawrence in Darren Aronofsky Drama". Variety. Retrieved July 12, 2016. ↑ Busch, Anita (March 23, 2017). "Kristen Wiig In Negotiations To Star In 'Where'd You Go Bernadette?'". Deadline Hollywood. Retrieved March 26, 2017. 1 2 "Mother! (2017)". Rotten Tomatoes . Fandango . Retrieved September 18, 2017. 1 2 Boyd, Susan (2008). Hooked. New York: Routledge. pp. 97–98. ISBN 0-415-95706-0. ↑ Powell, Anna (2007). Deleuze, Altered States and Film. Edinburgh: Edinburgh University Press. p. 75. ISBN 0-7486-3282-4. ↑ Dancyger, Ken (2002). The Technique of Film and Video Editing. London: Focal. pp. 257–258. ISBN 0-240-80420-1. ↑ "Look Effects Does More With Less CG on The Fountain". Animation World Network. October 26, 2006. Retrieved April 23, 2010. ↑ Barry, Colleen (August 1, 2010). "Black Swan opens Venice Film Festival". The Huffington Post . Archived from the original on September 1, 2010. ↑ No author listed. "Fireside Chat Darren Aronofsky". Red Bull Radio. Red Bull GmbH. Retrieved May 8, 2017. ↑ Weiland, Jonah (April 11, 2005). "Talking with the Makers of "The Fountain"". Comic Book Resources . Retrieved November 10, 2006. ↑ "Darren Aronofsky: THE ASK HOLLYWOOD INTERVIEW". Darren Aronofsky Online (1998). Retrieved August 27, 2013. ↑ "An Interview with Darren Aronofsky and Sean Gullette of "Pi"". IndieWire (January 21, 1998). Retrieved August 27, 2013. ↑ Brooks, Xan (September 7, 2017). "Darren Aronofsky on Mother! - 'Jennifer Lawrence was hyperventilating because of the emotion'". the Guardian. ↑ Foley, Mick (December 18, 2008). "The Wrestler Is Good". Slate . The Slate Group . Retrieved December 18, 2008. ↑ Wigler, Josh (August 5, 2010). "Natalie Portman Likens Black Swan To Rosemary's Baby In Terms of Tone". MTV Movies Blog. MTV. Archived from the original on August 6, 2010. Retrieved August 6, 2010. ↑ las películas favoritas de darren aronofsky – filmin. Filmin.es. Retrieved on May 22, 2014. ↑ Buchanan, Kyle (August 26, 2010). "Vincent Cassel on Mesrine, Black Swan, and Acting". Movieline . Archived from the original on September 4, 2010. ↑ Goodridge, Mike (August 22, 2000). "MPAA slams NC-17 rating on Artisan's 'Requiem'". Screendaily. Retrieved December 19, 2010. ↑ Hernandez, Eugene; Anthony Kaufman (August 25, 2000). "MPAA Upholds NC-17 Rating for Aronofsky's "Requiem for a Dream"; Artisan Stands Behind Film and Will Release Film Unrated". indieWIRE. SnagFilms. Retrieved November 1, 2011. 1 2 3 4 Tait, Robert (December 13, 2008). "Iranian official demands apology from visiting Hollywood delegation". The Guardian . London. ↑ Mostaghim, Ramin (March 2, 2009). "Iranian official demands apology from visiting Hollywood delegation". Los Angeles Times . ↑ Laverty, Chris (January 28, 2011). "Black Swan: Amy Westcott Interview". Clothes on Film. Retrieved January 30, 2011. ↑ Fuhrer, Margaret (May 21, 2010). "Ballet All Over: Big Names in Black Swan". Pointe Magazine. Macfadden Performing Arts Media. Archived from the original on August 4, 2010. ↑ Labrecque, Jeff (March 26, 2011). "'Black Swan' controversy: 'Natalie herself did most of the dancing,' insist filmmakers". Entertainment Weekly . Retrieved March 26, 2011. ↑ Markovitz, Adam (March 28, 2011). "'Black Swan' director Darren Aronofsky defends Natalie Portman in body-double controversy". Entertainment Weekly . Retrieved March 28, 2011. ↑ "Controversy movies at the Box Office" . Retrieved October 4, 2016. ↑ Kosior, Wojciech (2016). "The Crimes of Love. The (Un)Censored Version of the Flood Story in Noah (2014)". Journal of Religion and Film. 20 (3). ↑ Claudia Joseph (March 5, 2005). "Rachel's Weisz guy". Daily Mail . London. Retrieved August 21, 2017. ↑ "Oscar winner Rachel Weisz has baby boy". USA Today. March 1, 2005. Retrieved August 21, 2017. ↑ Stephen M. Silverman (March 1, 2006). "Rachel Weisz has a boy". People. Retrieved August 21, 2017. ↑ Perry, Simon (November 9, 2010). "Rachel Weisz & Darren Aronofsky split up". People. Retrieved November 10, 2010. ↑ Guglielmi, Jodi (August 9, 2017). "Jennifer Lawrence on Dating Darren Aronofsky: 'I Had Energy for Him. I Don't Know How He Felt About Me'". People . Retrieved August 21, 2017. ↑ Riseman, Abraham (August 21, 2017). "Darren Aronofsky Doesn't Want You to Know Anything About Mother!". Vulture.com (New York . Retrieved August 22, 2017. ↑ Russian, Ale (November 22, 2017). "Jennifer Lawrence and Darren Aronofsky Split After a Year Together". People . Retrieved November 22, 2017. ↑ "The 'Terror' of Noah: How Darren Aronofsky Interprets the Bible". The Atlantic. March 26, 2014. Retrieved August 21, 2017. ↑ Voulgaridis, V.; Vassiliou, V. G. (2005). "The walnut wood and its utilization to high value products". Acta Hortic. 705: 69–81. doi:10.17660/ActaHortic.2005.705.7. 1 2 Friend, Tad (March 17, 2014). "Heavy Weather: Darren Aronofsky gets Biblical". The New Yorker. Retrieved 2018-11-30. ↑ "Darren Aronofsky to head Venice film festival jury". BBC News. April 27, 2011. Retrieved August 21, 2017. ↑ "Darren Aronofsky will lead the 2015 Berlin Film Festival Jury". Uproxx . HitFix . Retrieved August 21, 2017. ↑ "Our Trip to The Climate War's Ground Zero". The Daily Beast . September 19, 2014. Retrieved August 21, 2017. ↑ "Sierra Club Leads Trip To The Arctic Weeks Before Shell Set To Drill". Sierra Club. July 20, 2015. Retrieved August 21, 2017. ↑ Esther Zuckerman (October 21, 2014). "Humane Society to honor Darren Aronofsky for using CGI animals in film". Entertainment Weekly . Retrieved August 21, 2017. ↑ Nash Jenkins (November 29, 2015). "Massive Public Artwork in Paris Reflects Desire for Climate-Change Solutions". Time . Retrieved August 21, 2017. ↑ Chris Gardner (June 13, 2016). "Darren Aronofsky Joins Sierra Club Foundation Board of Directors". The Hollywood Reporter . Retrieved August 21, 2017. ↑ "Board of Trustees". The School for Field Studies. Retrieved August 21, 2017. ↑ "45th Valladolid International Film Festival – Seminci 2000". ↑ "2001 Webby Award Winner". ↑ "Franklin J. Schaffner Award". ↑ "Stockholm Film Festival Past Winners". ↑ "Chicago International Film Festival 2006". ↑ "10th Annual Golden Tomato Awards". ↑ Hayes, Dade (December 13, 2008). "NBR names 'Slumdog' best of year". Variety . Reed Business Information . Retrieved January 21, 2012. ↑ Child, Ben (August 1, 2010). "Venice film festival opens with Darren Aronofsky's Black Swan". The Guardian. London: Guardian News and Media Limited. Retrieved July 17, 2011. ↑ "The 16th Critics' Choice Movie Awards Nominees". Broadcast Film Critics Association. December 19, 2010. Archived from the original on August 18, 2012. Retrieved December 11, 2010. ↑ "Awards Tour: 2011 Gotham Independent Film Awards Nominations". Rotten Tomatoes. Flixster. November 30, 2010. Retrieved August 18, 2011. ↑ "Chicago Film Critics Awards – 2008–2010". Chicago Film Critics Association. Archived from the original on February 24, 2010. Retrieved December 20, 2010. ↑ Soares, Andre (December 13, 2010). "The Social Network, Colin Firth, Michelle Williams: San Francisco Film Critics Winners". Alternative Film Guide. Retrieved September 20, 2011. ↑ Knegt, Peter (December 20, 2010). ""Social Network," "Scott Pilgrim" Lead Wacky Satellite Awards". indieWIRE. SnagFilms. Retrieved September 3, 2011. ↑ "TFCA Names "The Social Network" Best Picture of 2010 Winners". Toronto Film Critics Association. December 14, 2010. Archived from the original on February 16, 2011. Retrieved November 21, 2011. ↑ Knegt, Peter (January 11, 2011). ""Social Network," "Incendies" Leads Vancouver Critics' Awards". indieWIRE. SnagFilms. Retrieved August 28, 2011. ↑ "2010 WAFCA Winners". Washington D.C. Area Film Critics Association. December 6, 2012. Retrieved December 12, 2011. ↑ "2011 Film Awards Winners and Nominees". British Academy of Film and Television Arts. Archived from the original on January 10, 2011. Retrieved August 28, 2011. ↑ Kilday, Gregg (January 10, 2011). "Darren Aronofsky, Christopher Nolan Among Directors Guild Nominees". The Hollywood Reporter. Retrieved February 4, 2014. ↑ "Provincetown International Film Festival Filmmaker on the Edge Award". ↑ Castillo, Michelle (October 17, 2011). "Scream Awards celebrates 2011's fan favorites". CBS News . CBS . Retrieved November 3, 2011. ↑ "2014 Maverick Awards". Woodstock Film Festival. ↑ "AWARD WINNERS 2015". Archived from the original on November 22, 2015. ↑ "2015 Filmmaker Award". Archived from the original on September 10, 2015. Laine, Tarja (2015) Bodies in Pain: Emotion and the Cinema of Darren Aronofsky , Berghahn Books. Skorin-Kapov, Jadranka (2015) Darren Aronofsky's Films and the Fragility of Hope , Bloomsbury Academic.